If the title seems confusing, not to worry. It. But anyways, birthdays. That's a thing. People actually buy material objects and give them to someone on this birthday day. And they actually single out this day, out of all the other days in the year, and treat it in some special way. And they go through certain routines like "Happy birthday" and "I wish you this and that". And I myself also did all of that stuff, up until some years ago. So, what changed for me? I just got exposed to values and ways of thinking that were different from my own. After some period of evaluation, I dropped my old values and thinking and took on the new ones. It was just like changing my toothbrush with a new one, which is something I need to do soon again actually as my toothbrush is getting worn out, and thus less efficient at tooth cleaning than a new one, and that is why I have recently been thinking about changing my old toothbrush with a brand new more efficient one, but this is not what this post is about. Don't follow what others are telling you to do. Unless what they are telling you to do makes more sense than what you are currently doing. Trust me, you want to make up your own mind on this. You could give people presents on their birthday, but not because it's their birthday but rather because you want to give them this gift and the birthday served as a convenient occasion. 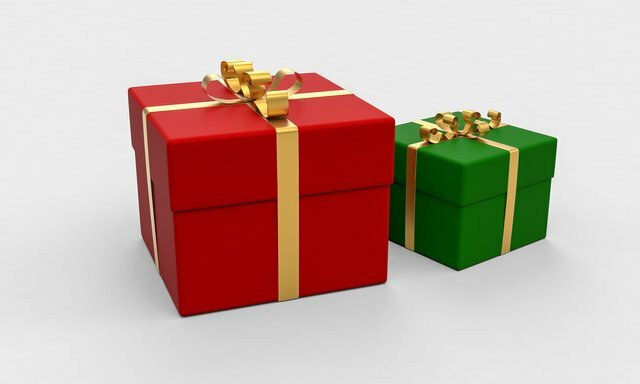 It could be an act of giving someone a present on any day, without paying attention whether it's THE* their birthday or not. Or it could be an act of sharing anything with someone, whether a physical object or a different kind of contribution, at any point in time. I'm actually writing this at 3:30AM, in my bed, in the dark, continuously unlocking my phone in order to get some light to see what I'm writing, so I hope you appreciate this shitunsolicited birthday advice. I'm too afraid to go to sleep without capturing my ideas. I hope this kept your attention. I carefully measured the post, and the jokes-to-information ratio is 3.2 square chickens. OK, you don't need to read anymore. * This word shouldn't be there - it was a typo. Glad I caught this just prior to publishing the post. Added emphasis to the word now to make it clear that it was a typo and you should just skip over it when reading. Your presence on Steemit really makes a difference. Appreciate how we seem to share a lot of values and attitudes that are unconventional/non-mainstream. OK, I read the four blog posts. Trying to understand better the problems that this is trying to address and what models it proposes. The text seems to describe difficulties related to establishing the truthfulness of statements, establishing unambiguous social rules, changing these rules, changing the rules for changing the rules, governance models for society, among other issues - is that right? And one of the central proposals seems to be that a computer language and program could be created - residing on a decentralized network - that can change themselves, and furthermore can interpret the language used by people and convert it to computer code, and through this process the input of all people will be converted to technical proposals for changing the rules of society, and the computers will automatically be able to find which points people converge on and hence change the social rules in that direction, as an alternative to the current processes of voting. Am I somewhat close in understanding this? Yeap quite. The "rules of society" is basically a computer program, which can be any kind of software application as well. Tau also scales discussions and consensus with the ability to synthesize code out of specifications, and this also works to evolve any p2p networks and applications built on it without getting into prolonged stalemates in most governance models. Seems like the most generalised blockchain for everything else. Fascinating stuff.. Curious about the potential you see in this. Do you see it as enabling a new economic system and governance model for society? Obviously Ohad is covering a lot of ground here. When it comes to the viability of turning natural language spoken by people into computer instructions, I see it as quite viable and already a reality today in some (for now) limited ways. AI is enabling this. You can describe to your spreadsheet what you want, and it can create the formula for you. When it comes to the desirability of determining the rules of society by way of input from people, that doesn't seem too desirable to me. I don't know how well I understand what is being proposed - is it that Tau will determine what the majority of people converge on and craft the social rules based on that? If that is the suggested model, I am quite concerned since I imagine that we would still have slavery and no rights for women, and the geocentric model, and all sorts of other things that were once universally believed in and supported by people. My understanding is that someone comes up with a new discovery or view and starts pushing society in that direction and, slowly, society changes and accepts the new view (if the appropriate conditions exist). The majority rule and majority's opinion seem quite arbitrary and easily manipulable to me. Your concerns can and will be part of the discussions taking place on Tau in the future :).. well if it works, which I think the project is really onto something profound. Think of it as a communications enhancer by way of human-machine-human communication. Instead of statistical-models in deep machine learning algorithms (which is indeed the pervasive thinking / practice in mainstream AI models), Tau is based on a logical framework as everything expressed on it are as definite as computer programs. So it doesn't deal with natural language per se, as Tau doesn't assume opinions. I think the core will take sometime to develop and would be a case of ethical and philosophical discussions. After that, it can start supporting sub-branches with different rulesets. OK, @trafalgar's post gave me more details and clarity about Tau's possible real-world applications. Recognizing the problem and stating it as "discussions are not scalable" seems pretty good to me. I'm still not clear on how people's inputs will be converted into computer code. Another thing in relation to the social governance and scaling of discussions is that to me both of these have to look at data as the starting point of a discussion (at least most of the time, when we're not on a meta level of discussion). So when there is discussion around vaccination or GMOs or defecation postures or anything else, the data of every related experiment has to have already been entered into the blockchain, along with the metadata (who designed and conducted the experiment, which devices collected the data and how, etc.). So then the data from all the experiments is immutable and it can be aggregated, so clear patterns will start to emerge - or not, in which case we need to perform more and different kinds of experiments. When there is data as the starting point, discussions can be more informed and generally geared towards (making progress on) solving actual problems. Do you see discussions (on any scale, even between two people) often leading to any solutions otherwise? Kenneth Arrow's monograph Social Choice and Individual Values (1951, 2nd ed., 1963) and a theorem within it created modern social choice theory, a rigorous melding of social ethics and voting theory with an economic flavor. Somewhat formally, the "social choice" in the title refers to Arrow's representation of how social values from the set of individual orderings would be implemented under the constitution. Less formally, each social choice corresponds to the feasible set of laws passed by a "vote" (the set of orderings) under the constitution even if not every individual voted in favor of all the laws. The work culminated in what Arrow called the "General Possibility Theorem," better known thereafter as Arrow's (impossibility) theorem.